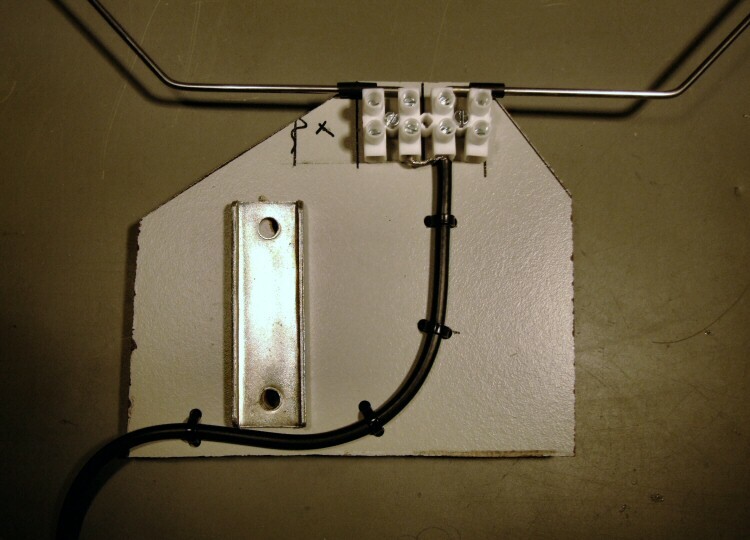 Well not really, in fact I had to rebuild a popovic antenna. The antenna cable on the Popovic antenna was too short, so I could not mount this antenna in the garden mast. I tried to remove the short cable but because I had poured everything with hot glue, I could not do that. So I had to make a new mounting plate. Instead of plastic I used now Trespa, a highly weather resistant material. 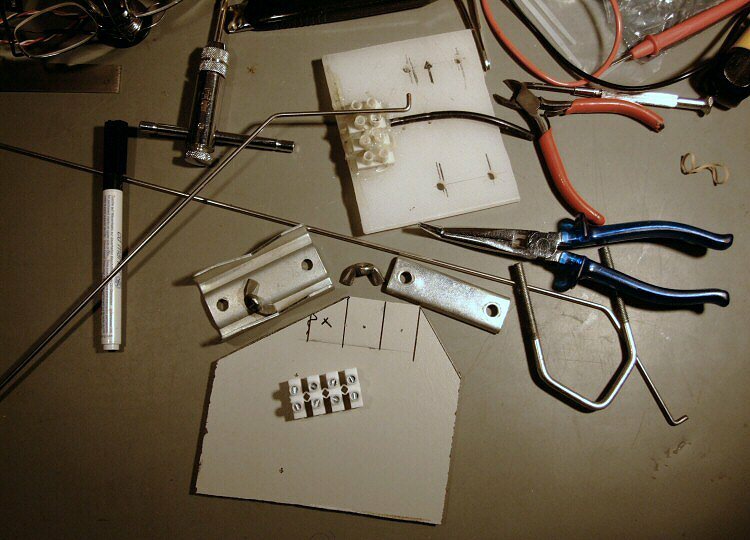 After mounting the new long RG58 cable and antenna elements, I drilled holes for the antenna mounting bracket. Of course I also made this version waterproof with hot glue, which works great. 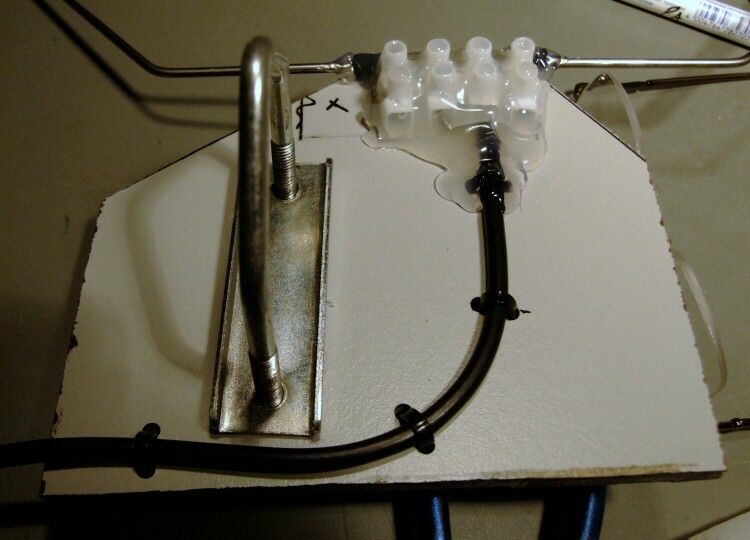 More about the Popovic antenna and technical information you can find on the Popovic 1 page.